So i was playing on a server of my on when i noticed one night a moon with a square in the middle of it appeared for some reason. I know in Terraria they had different Moon Phases that would cause different events. also note that any other night on my server and i get a normal moon. Does this type of moon mean anything? or do anything to the gameplay? 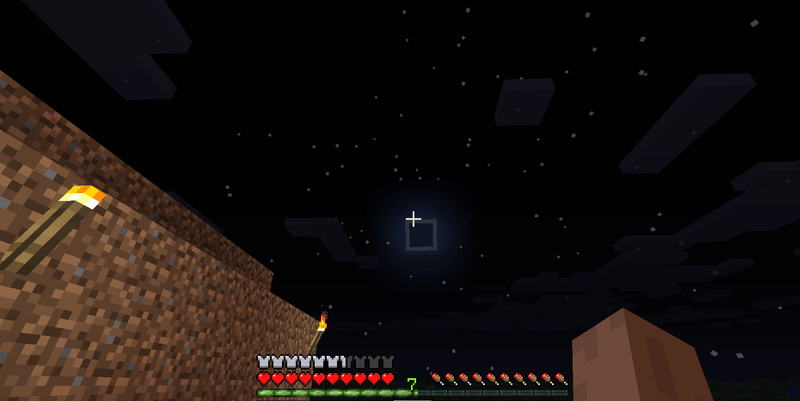 There have been moon phases in Minecraft since release, I believe. You are looking at the new moon. After much time of them doing nothing, the moon phases now have an impact on spawning, specifically the slime spawn rate in swamp biomes. Slimes will never spawn during a new moon. This does not affect slime spawning in Slime chunks. How do i know if minecraft is bedrock or beta edition on android?